An honour roll commemorates twelve former choristers who died in service or were killed in action in World War One. 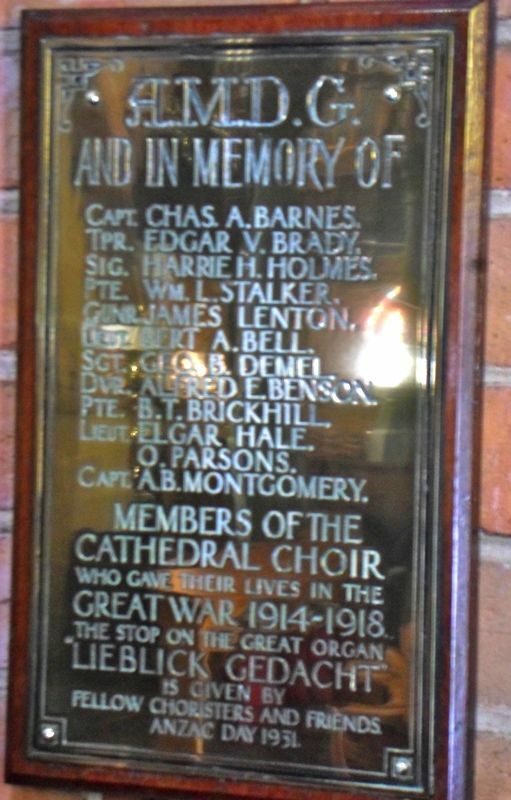 It records that the Lieblick Gedacht stop on the Great Organ was given in memory of these twelve, and that it was dedicated on ANZAC Day 1931. The stop on the great organ "Lieblick Gedaht" is given by fellow choristers and friends.